Driving a luxury SUV means having the perfect blend of comfort, capability, and innovation. The 2019 Land Rover Discovery Sport checks all the boxes to create an amazing luxury SUV. Especially notable is the innovative technology features in the Discovery Sport‘s infotainment system. No matter if you are on a long road trip with the family or cruising through traffic on your daily commute, having a variety of infotainment options makes each drive so much better. Listening to your favorite music will be a dream thanks to the Meridian™ Digital Surround Sound System. Land Rover partnered with Meridian to develop a system with impressive sound quality including Meridian’s Cabin Correction. This exciting feature means the system tailors the sound to the specific acoustics of your vehicle’s interior. You get to hear music the way it is meant to be heard…clear and authentic. The InControl® system is an innovative suite of applications and services that connect you to the world. Choose the available Land Rover InControl® Apps to use the vehicle’s touchscreen to control some smartphone apps. Through the Apps you could do things like plan a trip and book you hotel or organize your daily schedule so you don’t forget that important meeting. The InControl® Remote & Protect™ allows you to keep tabs on your vehicle even when you are away from it. Use this handy smartphone app to check your fuel levels, check to see if you have closed the windows, start cooling or heating your vehicle’s interior, or even find your vehicle in a busy parking lot. This innovation is also helpful in the event of a breakdown or emergency. It can transmit the vehicle location and pertinent diagnostic data to a roadside assistance provider. Or the system’s SOS Emergency Call can contact emergency authorities if needed. The innovative and luxurious 2019 Land Rover Discovery Sport really needs to be seen to be believed. 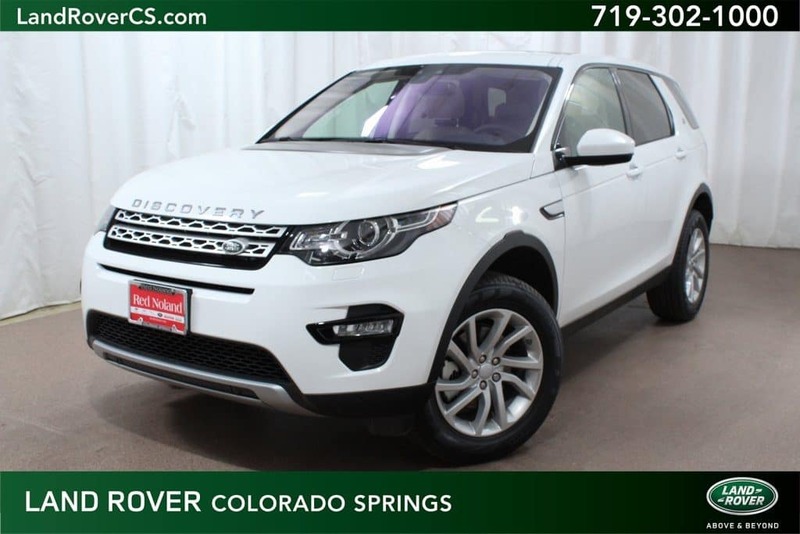 Stop by Land Rover Colorado Springs to experience this amazing SUV today. We have several to choose from or we can help you order one to your exact specifications.